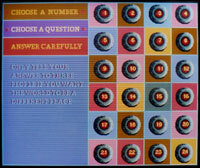 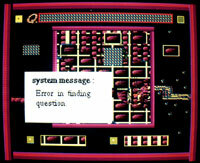 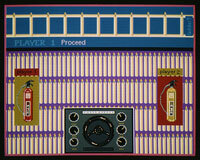 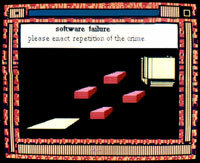 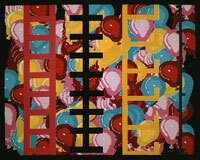 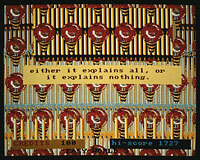 In the late 1980s I was making paintings about computer games. 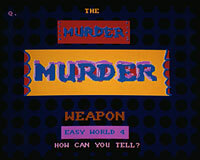 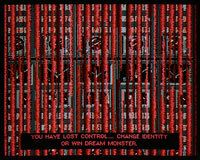 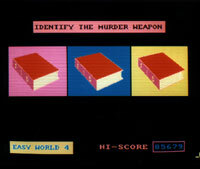 In January 1991 I bought an Amiga computer and made a series of fictional videogame stills using Deluxe Paint II. 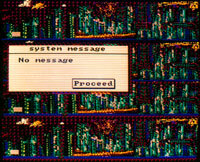 I photographed them straight from the screen as there was no other way to output them that I knew of apart from through a very primitive daisy wheel printer where they appeared as washed out dots. 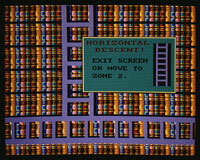 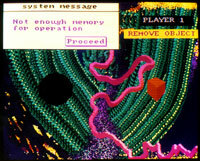 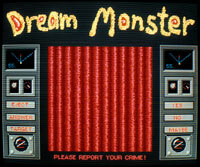 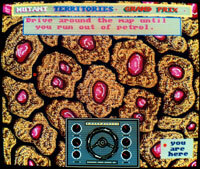 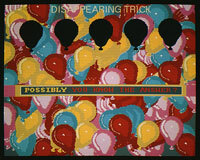 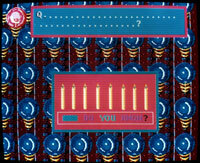 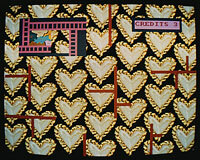 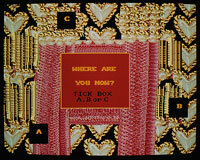 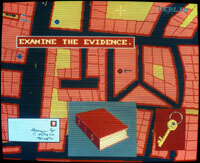 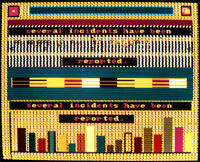 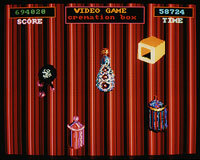 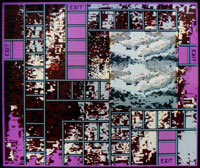 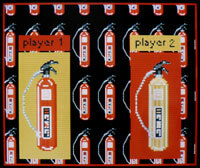 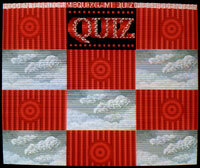 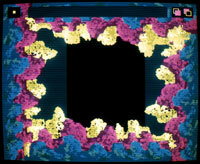 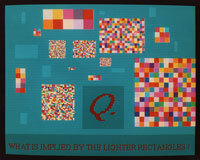 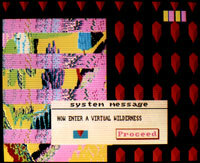 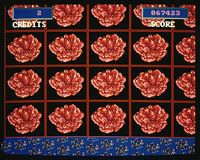 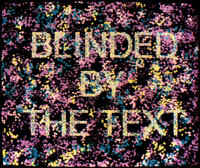 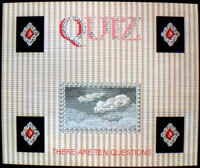 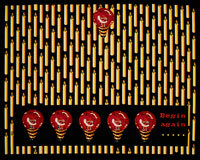 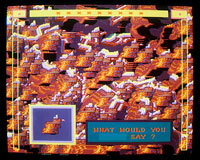 The effect of the photographs perfectly reproduced the highly pixellated, raised needlepoint effect of the Amiga screen image. 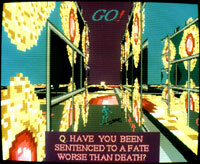 Conceptually this means of presentation was also appropriate in that it made it seem like I had gone into a videogame arcade and photographed the games there, lending authenticity to the fiction. 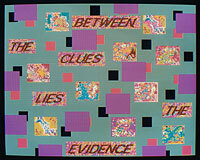 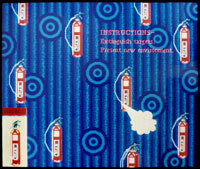 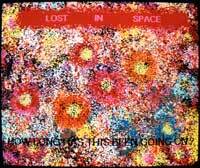 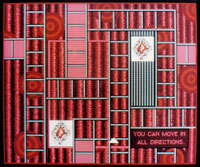 Many of these works were shown in London at the Edward Totah Gallery in March 1992 (view installation) and later that year at the Exeter Hotel in Adelaide, Australia. 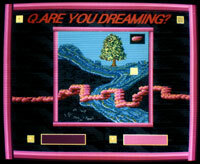 In 1995 the 'Q. 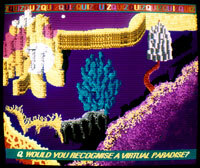 Would you recognise a Virtual Paradise?' 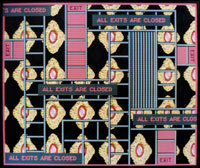 series was shown in London at the Royal Festival Hall in the exhibition It's a Pleasure, curated by Leah Kharibian. 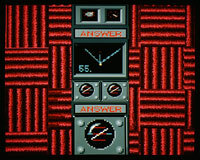 The original Amiga floppy disks which stored the image files are corrupt but the original photographs/works still exist. 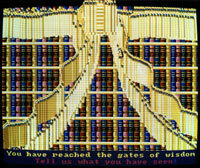 Fate Worse Than Death Gates Of Wisdom Incidents Reported Do You Know? 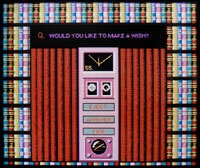 Would You Like To Make A Wish? 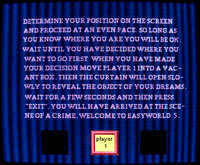 Choose An Exit You Can Move In All Directions Have you ever played this game before? 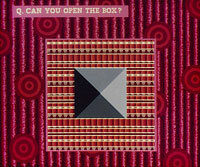 What Would You Say? 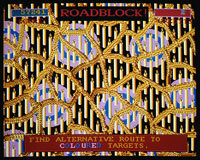 Answer Twice Roadblock What Is Implied? 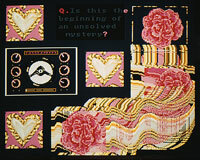 Is This The Beginning? 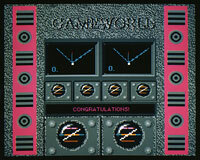 Gameworld Congratulations Roses How Would You Like It? 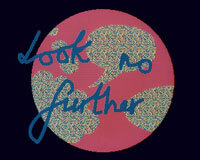 Look No Further Horizontal Descent Where Are You Now?